Jason Gardener has been named as the next president of UK Athletics (UKA) and will take over from Lynn Davies at the national governing body’s annual general meeting on December 4. 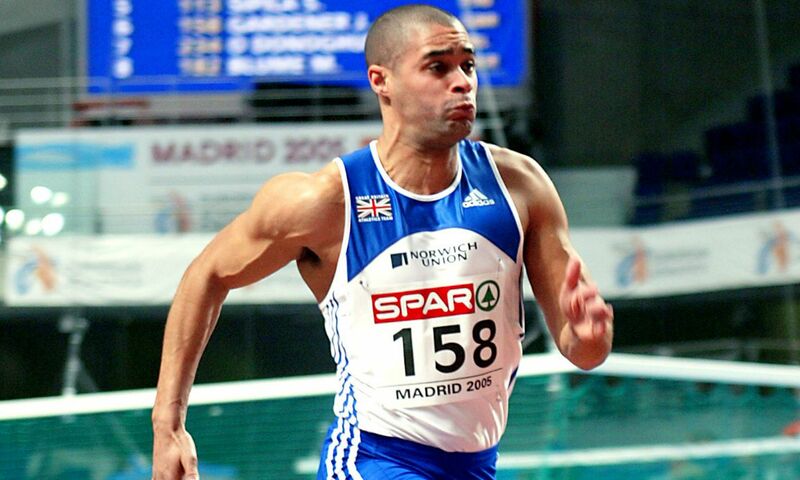 Former sprinter Gardener, who won Olympic 4x100m relay gold as well as world and European indoor titles during his career, is currently a director on the UKA board but the 40-year-old will relinquish that position when he becomes president. He recently formed part of the performance oversight group tasked with reviewing the Oregon Project and Alberto Salazar and their relationship with Mo Farah and the UKA endurance programme. The review had come after doping allegations were made against coach Salazar, following an investigation by the BBC and US news organisation ProPublica. Salazar has denied any wrongdoing, while there is no suggestion that Farah has violated any rules. Releasing “summary findings” of the independent audit earlier this month, UKA advised that the performance oversight group, which also comprised Dr Sarah Rowell and Anne Wafula-Strike, had found “no reason to be concerned” about the engagement of British athletes and coaches with the Oregon Project. Speaking of his appointment as UKA president, Gardener said: “I am extremely honoured to be offered this role, but more importantly to follow in the footsteps of Lynn, who has served the sport in exemplary fashion over the years. “This is an exciting time for our sport as we build towards the Rio 2016 Olympic Games and our own London World Athletics Championships in 2017 and it is essential that the UK Members Council continues to represent the sport’s interests and ensure the accountability of UK Athletics. Davies, who won Olympic long jump gold in 1964 during his own successful athletics career, was elected as president of UKA in 2003. He commented: “I am delighted that Jason Gardener will be taking over from me as president of UK Athletics. With his competitive background in the sport as an Olympic champion coupled with his engaging personality and his experience as a board member of UK Athletics, he possesses all the qualities required to be a successful president. Meanwhile, UKA also confirmed that Olympic 110m hurdles fourth-placer Lawrence Clarke is to become an athlete representative on the UK Members Council. “I feel privileged to be able to represent the views and opinions of the athletes who make up the British team,” said Clarke. “I’m keen to make sure the sport’s future is positively shaped for and by athletes across the Olympic and Paralympic performance programmes.